Upon starting to write about Adobe Reader, I checked to see if I did not already have the latest version installed. Unsurprisingly, I did have it. That made me think about the situation I was in. Writing about Adobe Reader is like writing about Start button to a Window user. Oh... I'm terribly sorry, I didn't mean to upset Windows 8 users more than they already are. What I'm trying to convey here is that Adobe Reader is such a common program that you might even have it installed without knowing. Look it up! Well, in case you don't have it installed already, you've either never heard of PDF's (portable document format) or you are such a power user that you opted for another pdf reader. Well, in case you were wondering, the pdf was released by Adobe in 1993 as a way to encode documents in a universal format, so that it could be read on any computer configuration. The pdf has been standardized since 2008 and is ubiquitously used throughout the world to share documents. 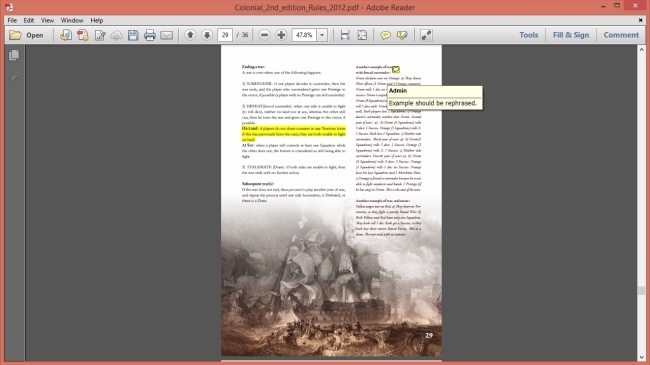 Although the format is not generally intended to be edited, pdf's support an extra layer of highlighting, annotations and even digital forms and signatures. Adobe Reader is of course equipped to edit pdf's to that extent. The primary role however is simply to view them. Reader can take care of that in a number of ways. There is a very good control on the zoom level. You can extend o compress a page so that it fits the top&bottom or left&right edges. Pages also can be rolled out or be presented one at a time or two at a time (similar to an open book). If you intend to review the document, there are quite a few annotation options. Text can be highlighted in a number of ways such as strike-through, underline, or simply yellow highlight. Extra information can be attached in form of sticky notes, audio recordings and even video recordings (if you feel to convey more than a thousand words). You can also add digital approval stamps, just to give it an official look (or if you are out of real ink). There are more interesting features that concern editing sharing and uploading to cloud storage, but these are paid services and not available in the free version. Extremely popular. You can make sure that annotations will be read correctly on the other side. Expandable. Additional features can be added via a 12 month subscription. 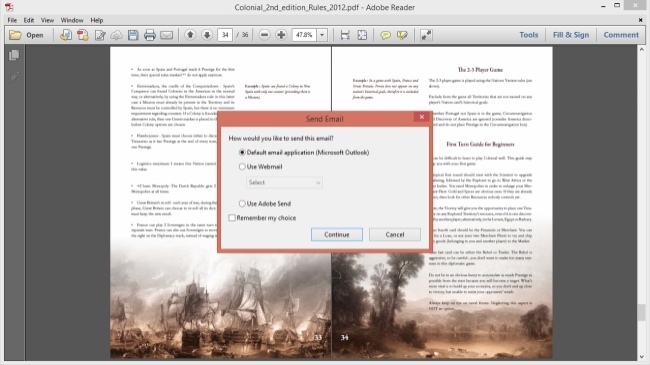 Adobe Acrobat is the default choice for reading PDF files. You can't go wrong with it and it's a program that you should already have installed.